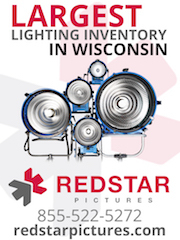 The most complete directory for Film, Video, Television, and Commercial Production in Wisconsin. Only the fields that you enter data in will be updated if approved. Leave fields blank if you DO NOT want it to be updated or you do not have data to enter in that field. Have your business advertise on the Badger Guide. Want to be listed in the Badger Guide directory? Learn more about the Badger Guide.